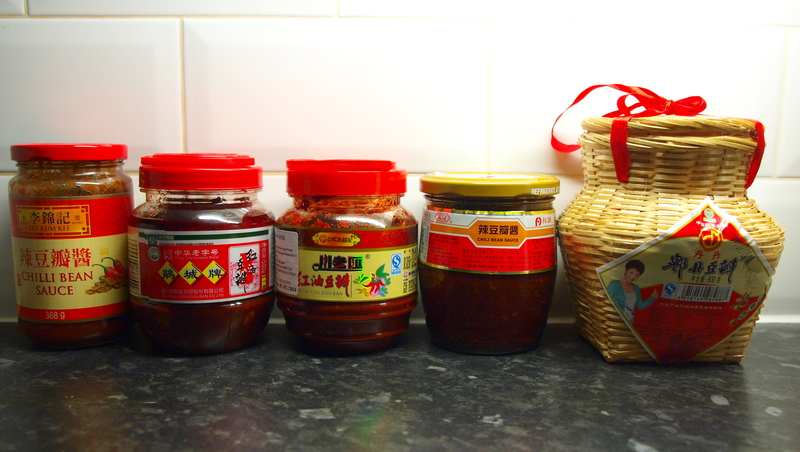 great overview of the diff chilli bean pastes out there – thanks! Pingback: Duck Egg Noodles and Chilli Duck Ramen | The Foodist. 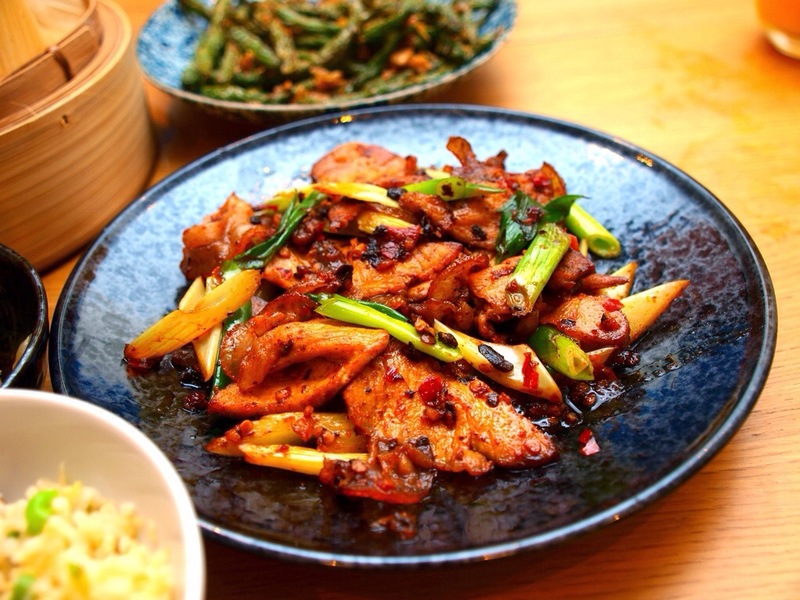 I’m so hungry for Chinese food that I could cry. The Sichuan Pixiandouban Co. Ltd plastic jar in your photo #2. 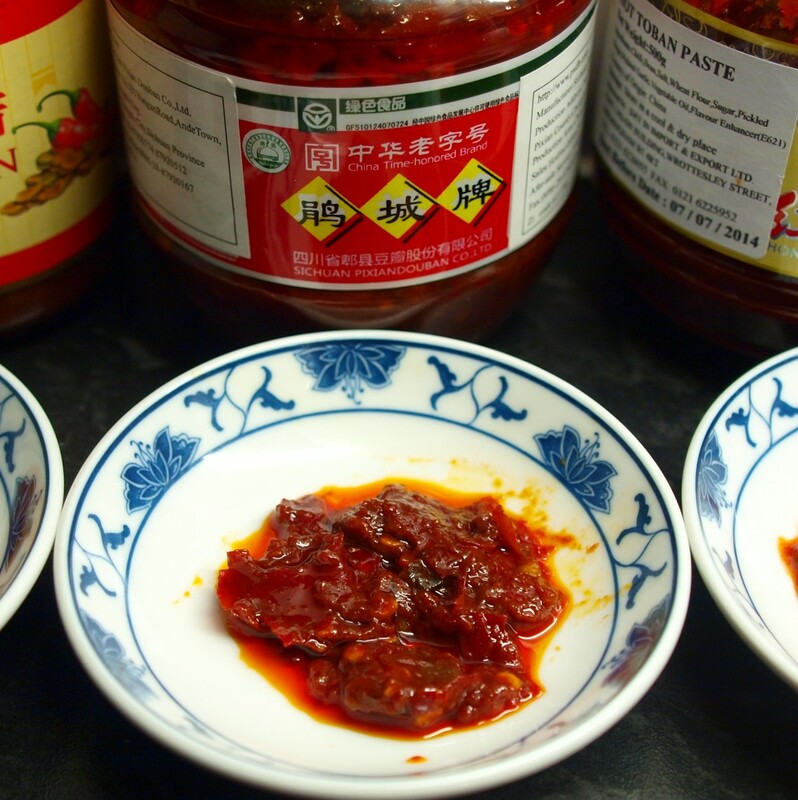 “Juan City Brand 鹃城牌红油豆瓣” contains MSG, I am told by the manager of a Chinese food shop. I have seen several different importers labels which use terms like “taste” and “spice powder”. This makes me wonder if their flat packs have MSG too. Love this post! 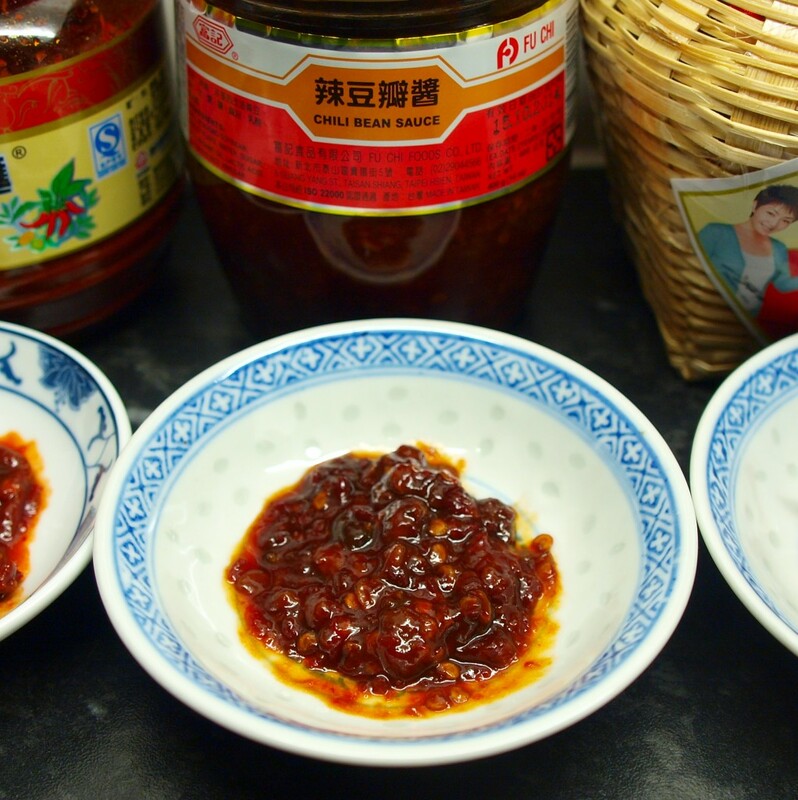 I got an irresistible-looking recipe for Szechuan Poached Beef in Hot Chili Sauce (http://talesofchinesecooking.com/2015/10/03/szechuan-poached-beef-in-hot-chili-sauce/ ) and was trying to figure out what Pixian broad bean paste was. I can’t find it in our international section. 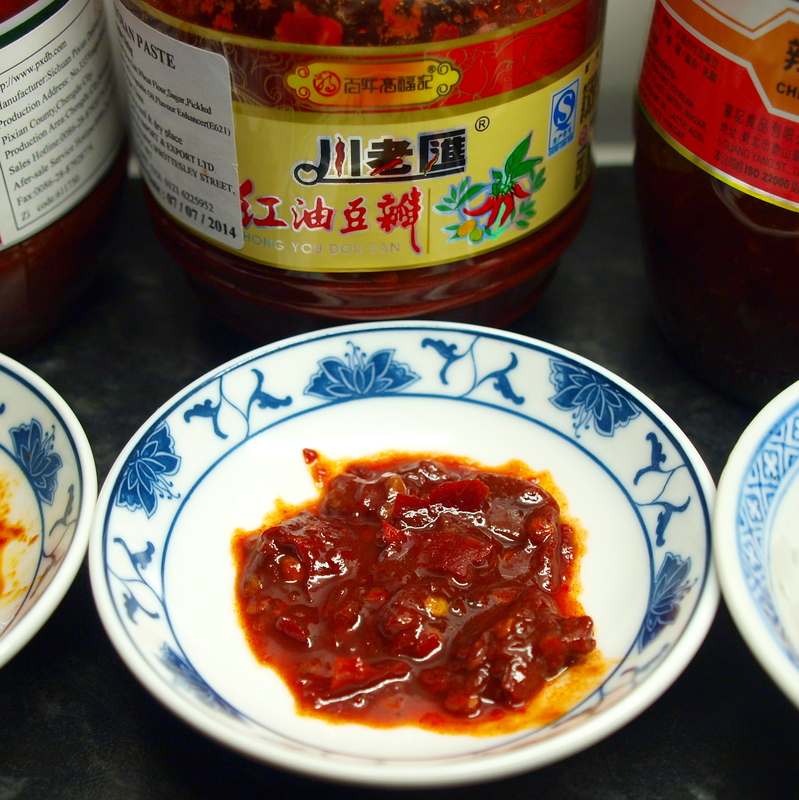 Do you think Sriracha would be a suitable substitute? I see the texture is different. Maybe mixed with almond butter? Tahini? Help! Obviously, I am reaching here lol! 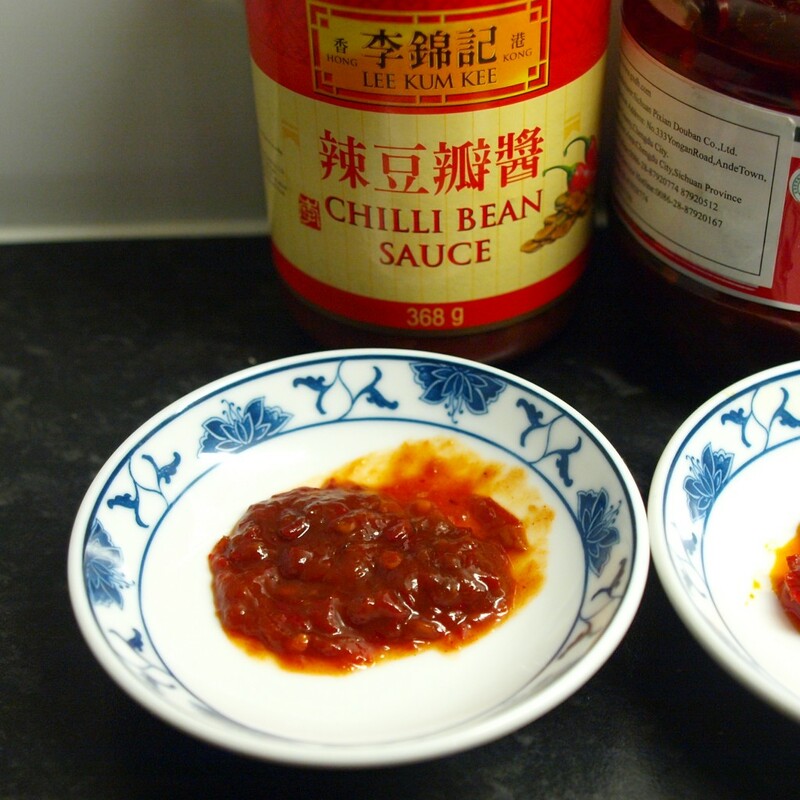 Sriracha is a very smooth sauce with a totally different flavour profile to Pixian broad bean paste. It’s more of a condiment than a cooking ingredient. Of course you can do what you like with it but you won’t get close to the essence of the recipe using it i’m afraid. Hard to think of a subsitute, maybe miso and chilli oil? 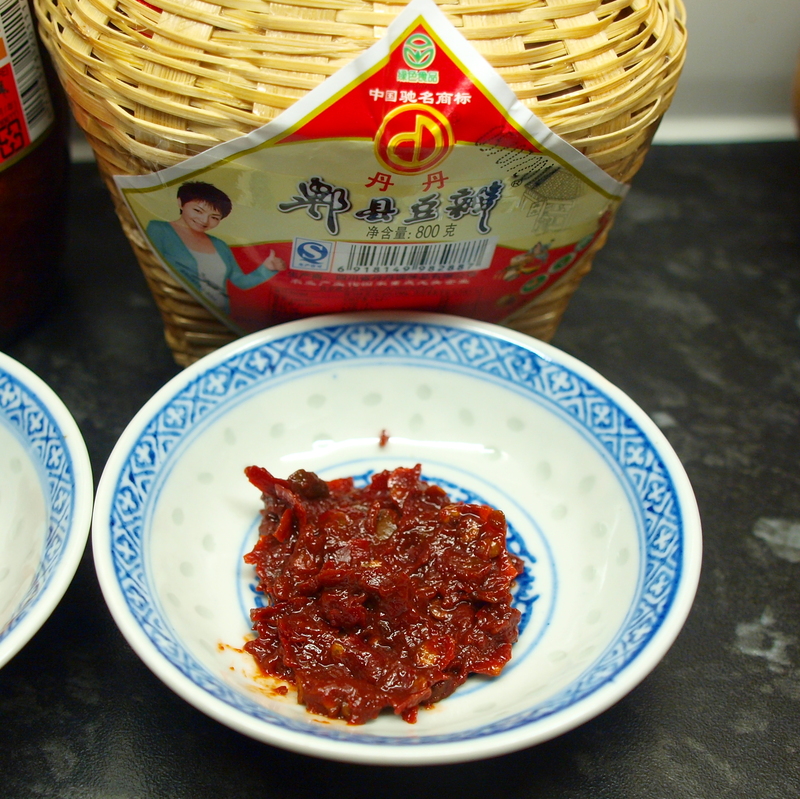 But if you can hold of miso then you’ll be able to get hold of Pixian chilli broad bean paste!